To Richard Dawkins: Brahma is not Brahman. You should read up on the God issue. The God Delusion is pervasive like Brahman: it downloads itself on my kindle, and appears unbidden on my Audible. It seems impervious to archiving, and creepily pops up whenever I scroll through my collection to see what I have that I haven’t yet read. It must be that Richard Dawkins really wants me to read this book. And let it be said right here: although I am a believer in such things that other people might consider supernatural, overall, I am much more likely to shake hands with an atheist than I am with a fundamental Christian, Muslim or other literalist of sacred scriptures, especially on the subject of Evolution vs. Creationism. Nonetheless, Atheist, it should be clarified here, are also fundamentalists. They brook no contradiction, no variation, and no logic against their firm belief that “there is nothing supernatural” to the world we live in or the Universe beyond it. Much of atheists (and Dawkins’) argument relies on the premise that there is no scientific evidence whatever of the existence of God. Of course, what we know about the Universe at large, beyond our own world, is next to nil, (and one could validly argue that we know yet so little about our own world that it would be objective and scientific to say “we have no evidence of God just yet” rather than to make bombastic statement that there isn’t any evidence because in a handful of years in science in the long, long timeline of existence we have found none) but this also proven fact is not of a bother to the fundamentalist, who, by principle, is inclined to disregard fact and reason that does not cohere to his principles. Let us dismiss beforehand any concept of God that varies from the idea of an anthropomorphic God: God is the Judeo-Christian God or Allah. Every other definition of God, especially those definitions that define Him as an energy or creative force are “too watered down” and vague to be considered valid, and I quote, “If you think God is energy, then you will find Him in a piece of coal.” But rather than admitting right there that there could be a scientific argument validating God if we departed from the anthropomorphic old guy in the sky definition, he claims that to use the word God in relations to energy or other encompassing concepts is to abuse language, since God is the God of the Old Testament, period. The reason behind this exclusivity is vague, but he seems to be under the impression that the God of the Old Testament, in the form of an interventionist God who has a political agenda and butts into the business of populaces and individuals is the God that most people on earth worship, and have always worshipped since the beginning of religion. We shall return to this point pretty soon, but first let me go on with summarizing his most irksome statements. In contradiction or as an addendum to the above, he emphatically states that he’s not talking about “the bearded guy in the sky” but about the interventionist God who can change nature on a whim to accommodate the wishes of an individual. I’m not sure why the caveat since the same people who worship the interventionist God of the Bible also believe that He made man in His image, therefore making Him the old guy in the sky, per excellence. If not Him, then who is he talking about? According to Dawkins, he disagrees with anything “supernatural,” except (and this is the part that made me laugh out loud) “those things that we don’t yet understand.” Since Dawkins himself loves to rephrase philosophical models in childish and infantile reductionist forms, let me return the favor. His argument is akin to saying, “Only what I say is correct; everything else is incorrect — except those things that might later prove to be correct in spite of what I said.” So, he’s right about everything, even if it later turns out that he was wrong, he is still right, because it was simply a matter of our (scientists) not understanding. He gives a pass to pantheists because they believe in the sentience of living things, which in his vision, is a “glorified atheism.” Hmmm. Talk about watering down a definition. He gives half a pass to deists. His logic on this point is quite foggy but as later he claims to have statistical proof that if you believe in God you are either a) ignorant, b) stupid, c) both stupid and ignorant, it’s important for him to make this caveat so as to exclude from the stupid and the ignorant such enlightened minds as the Founding Fathers, engineers of the United States Constitution, who were undoubtedly deists (but not Christian, folks, let’s make this clear). All religions are the same, according to Dawkins, so the fact that he’s focused on Judaism and Christianity should not concern worshippers of different religions, since overall we are still worshipping just the one God. To prove his point, he brings up Hinduism, which at first blush might appear to be polytheistic, but on closer scrutiny, turns out to be not so, since it is understood that all the deities are just aspects of Brahma, an old guy in the sky type of god. Having made the above (erroneous) point, he says he only mentioned Hinduism for inclusivity’s sake. He will go on arguing against God and will not discuss Buddhism or Confucianism at all because “it could be argued that these are philosophies of life and not religions.” (Later, he further diminishes Buddhism and Confucianism indirectly by “proving” that philosophy is a senseless waste of time, pretty much in so many words, since it has no bearing or relevance to real life, and cannot provide any answers to life that may be considered anything beyond verbal games. There are 2.5 million Hindus in the United states alone, and nearly 1 billion in the world at large, making up about 15% of the world’s believers. That’s a lot of God-believing people to dismiss wholesale in a short little paragraph that so very incorrectly paraphrases their complex beliefs. In the least, if you’re going to make the argument that Hinduism is a monotheistic religion, you should get your names right. It’s as easy as just googling or using Wikipedia. 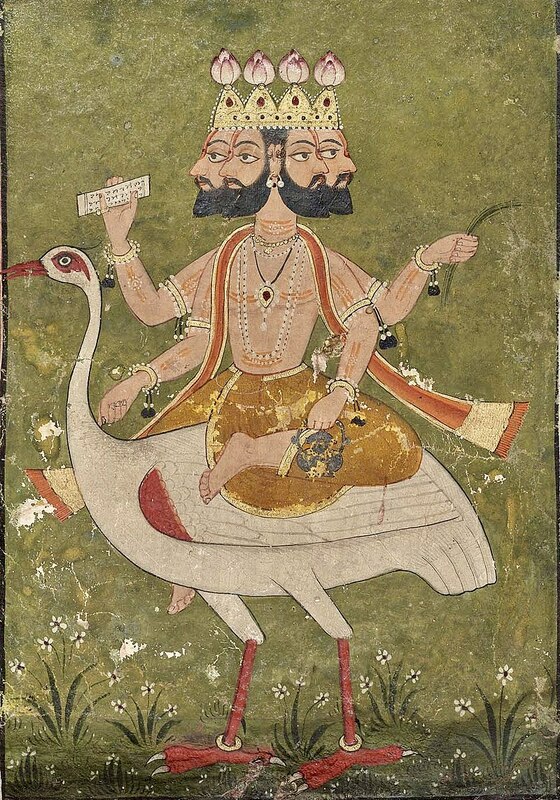 Allow me to make one small but very important correction to your statement that all Hindu gods, from Parvati to Krishna to Vishnu are all, in fact, just aspects of Brahma, another god, and a ‘bearded guy in the sky” type of god. I am sorry to say that, like many Westerners, you really just don’t know your Hinduism. All gods are NOT Brahma. Brahma is just as you say another bearded guy in the sky. However, it is true that Hindus believe that all gods (and living beings, and things seen and unseen, living or not living) are BRAHMAN. Brahmā (/ˈbrɑːmə/; Brahmā) is the Hindu god (deva) of creation. However, in most texts his creative activity depends on the presence and power of a higher god. …According to the Brahma Purana, he is the father of Manu, and from Manu all human beings are descended. In theRamayana and the Mahabharata, he is often referred to as the progenitor or great grandsire of all human beings. He is not to be confused with the Supreme Cosmic Spirit in Hindu Vedānta philosophy known as Brahman, which is genderless. (Emphasis mine). 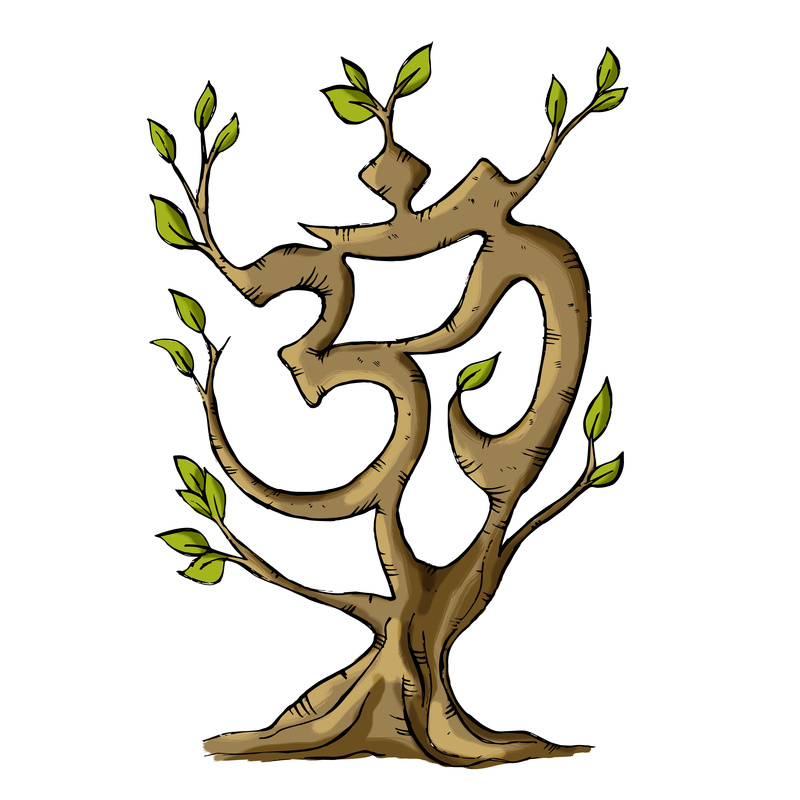 Brahman (/ˈbrɑːmən/; Sanskrit: ब्रह्मन्) is a spiritual concept in Hinduism, and it connotes the highest Universal, the Ultimate Reality in the universe. It is, in major schools of Hindu philosophy, the material, efficient, formal and final cause of all that exists. It is the pervasive, genderless, infinite, eternal truth and bliss which does not change, yet is the cause of all changes (emphasis mine). Brahman as a metaphysical concept is the single binding unity behind the diversity in all that exists in the universe. Let me just make it clear: Brahma and Brahman are not the same entity at all, except in the sense that all things are Brahman and Brahman is in all things. To put it in the way Paramhansa Yogananda explained it: a drop of water is part of the ocean; the ocean is not a drop of water. You claim rather emphatically that the anthropomorphic God is God per excellence, that it would be misleading to assign the word God to notions of energy or other such inclusive phenomena since God is traditionally the God of the Old Testament. But Hinduism predates Christianity by thousands of years, and it predates Judaism as well. It matters because the oldest God is not a guy, nor is he the interventionist political meddler that you describe. Christianity has been around only 2,000 years. It is still debatable how long humanity has been around, but I suspect that you, as a scientist, lean towards dating humanity to the hundreds of thousands of years. Still, let’s just start counting from the first evidence of human spirituality and we go back to somewhere between 35,000 and 45,000 years ago. The monotheistic Christian God is rather a late edition, don’t you think? We do not know what or who the cave painters worshipped exactly, but we do know that shamanism, the oldest form of spirituality to which we still have access, acknowledges and warns of the existence of a supreme deity which is formless, genderless, omnipresent, and well above the lower spirits, devas, and miscellaneous deities that interfere with human affairs. The Yoruba based religions that have survived the earliest forms of shamanism all agree on this one very important fact: when they pray to the gods, they are not praying to “the God.” That is something else entirely. That God is neither a non-interventionist entity, nor an interventionist one: it is…Brahman — but not Brahma. You also make clear that you dismiss anything that is “supernatural” which, I’m sorry to say, includes to the list of the excluded from this conversation all practicing Buddhists. In the United States alone they make up 1.2 million people, a lot of people to exclude from the English-speaking world. Your argument that if they don’t believe in a theist-based religion then they are atheists sounds like the “watering down” of definitions that you accuse in those who believe in a non-anthropomorphic God. It is true that Buddha himself said that there is no such thing as God; he also frequently spoke about God and then denied the denial of God when cornered by a Brahmin who missed the point of Buddhism entirely and was trying to verbally outwit him. However, lumping as delusional-God-believers all those who believe in the supernatural, then you are most definitely also including Buddhists (and Taoists, and many others) in the God-believers sphere, conveniently discounting their definitions of God. Just in case you are tempted to get into the semantics of the Buddhist concept of “nothingness” which cannot be understood from outside an experiential Buddhist practice, let me just remind you that there are many deities in the Buddhist religion, and that Buddha frequently conversed with gods, including Indra, who appeared when Buddha first found enlightenment and reportedly begged him to teach his discipline to the people. It would be incorrect to assume that Buddhism is equatable to atheism as it would be to discount Buddhist versions of gods and their relationship to the ultimate truth. Buddhists are very much like Yogis and Hindus: there are gods; they are not the ultimate divinity or truth, whether we call that truth nothingness, ultimate unity, or Brahman. I want to do a little math here. According to Pew Research, 15% of the world believers are Hindus. 7% are Buddhists. 1% are “other” (Taoists, Jainism, etc.) and 16% are “non affiliated. Pew has this to say of them: Surveys indicate that many of the unaffiliated hold some religious or spiritual beliefs (such as belief in God or a universal spirit) even though they do not identify with a particular faith. If we add them up, that is an approximate 39% or so (maybe a little less) of people who officially do not agree with a definition of God as an external, anthropomorphic entity who has an agenda and an interventionist modus operandi. They are God-believers, but they are not atheists. They just believe in a different version of the God you have practically reduced to a cartoon. Let’s revisit the survey that was sent out to people in order to come to the conclusions that all those who believe in a God such as you have defined are uneducated or ignorant, and everyone else is an atheist. To use a religious metaphor, the Devil is in the Details. If you poll people with the question, “Do you believe in a white old man in the sky who has magical powers and intervenes in your life like Santa Claus” which is basically how you phrased that poll you so eminently talk about, and then ask them to rate their belief on a scale of 1-7, everyone in the 39% mentioned above will go 4 or below. I have a sneaking suspicion that a vast majority of Christians and Jews will also choose 4 or below, since many of them have come to interpret the Bible figuratively rather than literally, including its bad-tempered God. But, you say, it is no point at all to argue whether or not a non-interventionist God exists. But I would argue that you are wrong. It is important to acknowledge the possibility of a Universal sentience, such as is Brahman or the God of many other types of religions that you have failed to mention or perhaps don’t even know about. If you are amenable to the possibility of sentience, self-awareness, or a collective consciousness that unifies all individual consciousnesses (which would explain the omni-presence, omniscient qualities without the need for a paradox) it is exactly the business of science to study it. But you cannot study something that a-priori you have excluded from existence. There is more to say, but this post is already too long, and I was mainly concerned with your exclusion of a definition of God that predates the Judeo-Christian God. It would never occur to me to argue Evolution with scientists without even having done some rigorous research on the subject beforehand, but your understanding of religions, and your reading on spiritual phenomena is remarkably cursory, and altogether disrespectfully lacking. If you really want to persuade the world that there is no God, you should at least do your homework. Thank you! What a beautiful and well-supported takedown of one of my least favorite fundamentalists.